We are seeking a Melodic Hard Rock/Heavy Metal band which wants to add an original song on the first BREATH-FRESHER compilation CD. It should be an unsigned/independent band. Following 14 bands have been already confirmed. 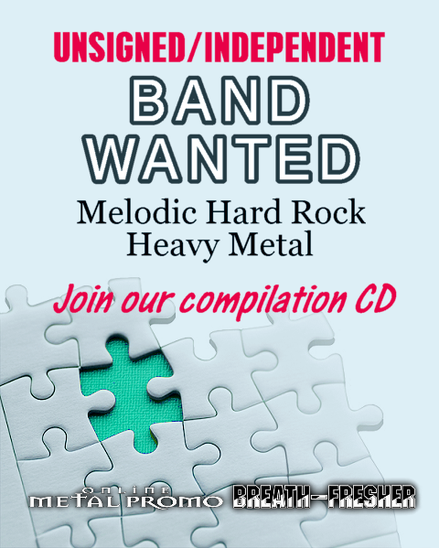 Contact the US promotion agent ONLINE METAL PROMO on facebook for more details. It will be scheduled to release in February 2014.